Washington Redskins quarterback Robert Griffin III has not officially signed his first contract with the team, but has made plenty of money already with numerous endorsement deals. 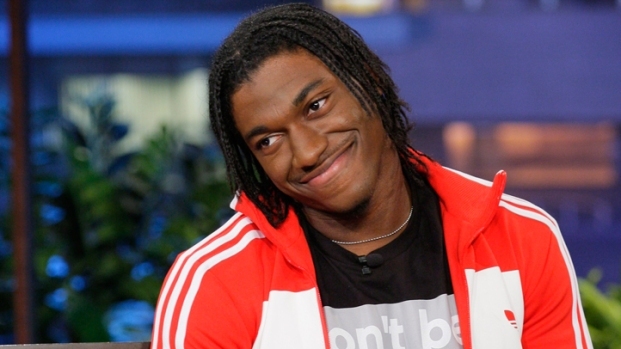 That newfound wealth has not affected RGIII at all (at least in the public eye) as he is as gregarious and humble as can be, but that does not mean that others have not. Richard Khamir Hurd, a former Baylor basketball player, is charged with extortion following his Friday arrest by FBI agents. “Hurd communicated that he had derogatory information on a client of B.D., and that he intended to release that information to the media to damage or injure the reputation of B.D.’s client unless the client paid Hurd a substantial sum of money,” states the affidavit. Griffin is not named in the document, but sources said Sunday that the Heisman Trophy winner was the target of the alleged extortion attempt. His manager’s name is Ben Dogra. An undercover sting nabbed Hurd, who was released on bond Monday. 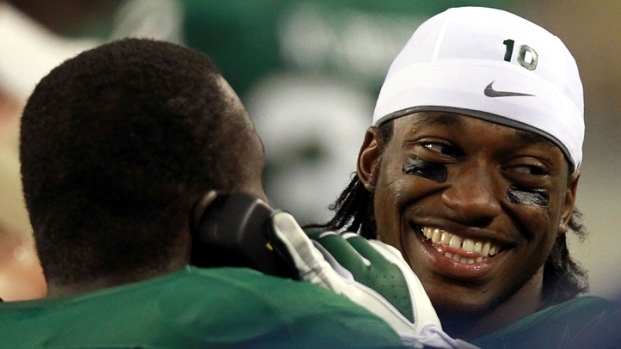 Keep your friends close, RGIII. And make sure they keep your money as far away from your enemies as possible. Or something like that.